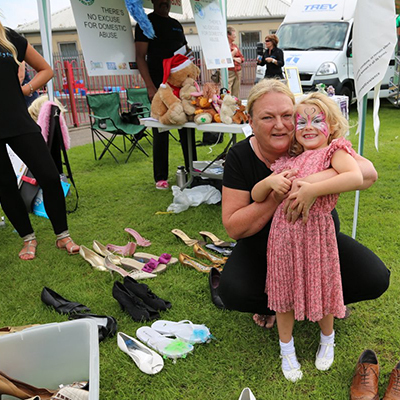 Butterflies Charity Event a huge Success! 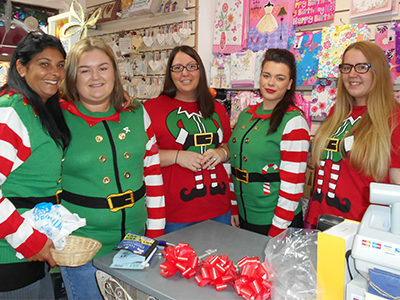 We would like to say a MASSIVE THANK YOU to the amazing Jodie and the Butterflies Team (Yankee Candles Barry) for their fundraising event in aid of Atal y Fro. 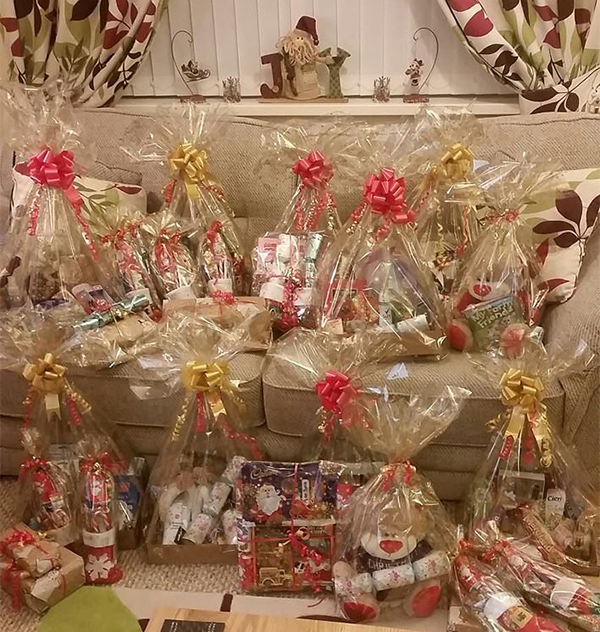 Not only did they raise a £459.11 but they also made these beautiful hampers for the women and children that we support. Such an amazing gift at Christmas! 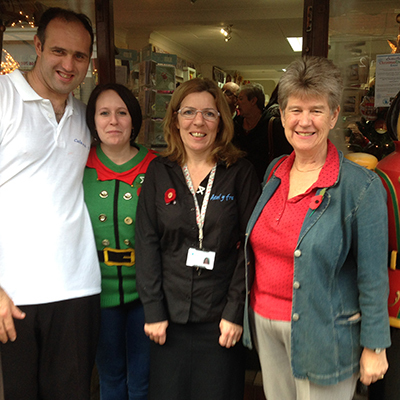 A Llantwit Major pub is helping volunteers at women’s refuges in the area give their clients a better Christmas. 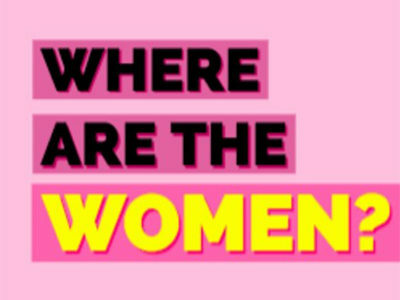 The project is run by Women’s Aid across the UK to help women who arrive at refuges this Christmas. Many will arrive bruised, battered and with nothing more than the clothes they are standing in. 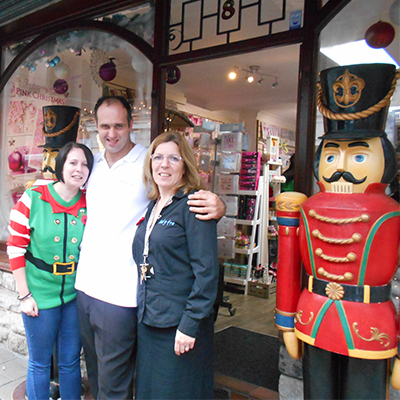 Sacha Stoyle said: “This year, we contacted the organisers and volunteered our services. Next, we asked Elenid from The Old White Hart Inn if she had any spare rooms that we could use as a collection point and she willingly offered us some space and her time to aid the cause! 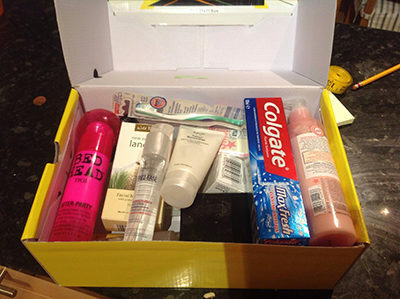 “We are asking people to check their bathroom cabinets for items of unwanted, unused or very nearly unused toiletries. It can be one item or many and we are not asking you to make up shoeboxes – as we will do that on your behalf. Really useful basics are shower gel, soap, toothbrushes, toothpaste, shampoo, conditioner, deodorant, a hair brush or comb. “Comforting things are important, such as face wash, toner, moisturiser, or make up remover, sanitary products, cosmetics, hair products like spray, mousse and also hair bands or scrunchies. 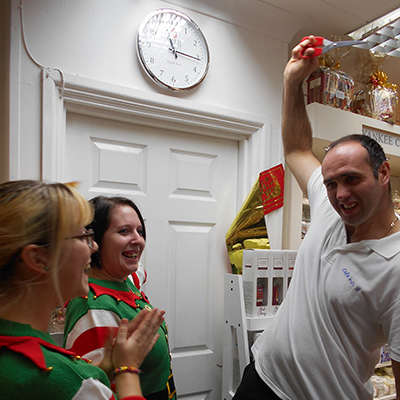 It’s good to have nice thing – scarves, bits of jewellery, socks, tights, slippers or flipflops, and sweets. 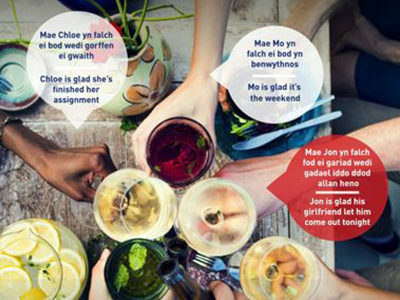 Welsh Government has launched a poster campaign this week – “Think you know what domestic abuse looks like?” For this campaign they have engaged with young people and students to develop messages and materials that relate to them. 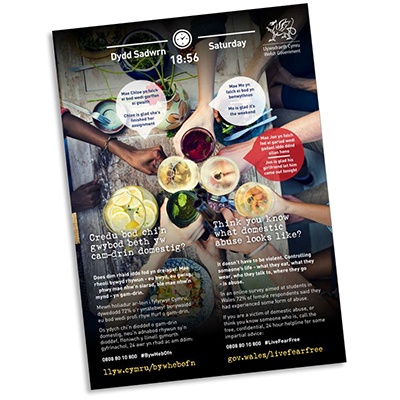 Below is a link to the posters which can be found on the Welsh Government website and can be downloaded for circulation. Amazing Turn out at the Butterflies Charity Event! 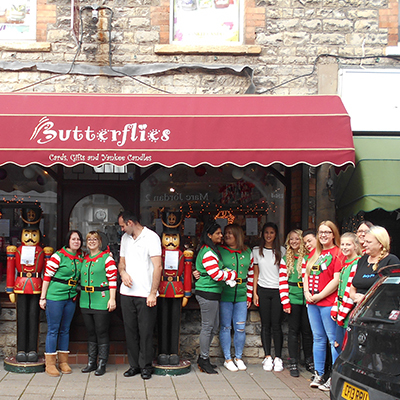 A MASSIVE shout out to Jodie and the FANTASTIC Butterflies Team in High Street, Barry for the amazing Charity Event that you ran on Sunday. 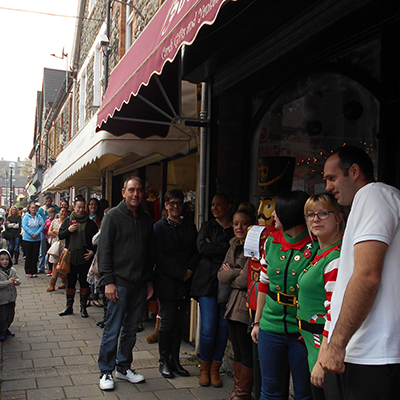 It was an absolutely brilliant turn out so thanks to all who attended! Your support in helping us raise awareness around domestic abuse is hugely appreciated and we cant wait to work with you again in the near future! 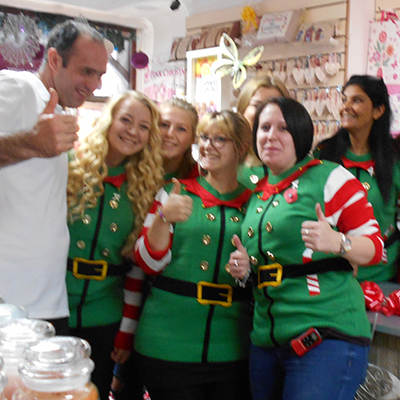 Miss Butterflies & Team would like to invite you to our Christmas Butterflies & Yankee Candle Famous Event. 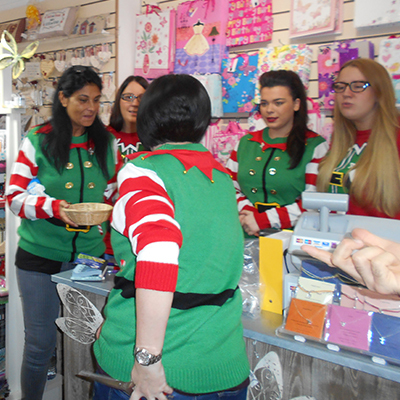 For amazing special offers, goodie bags & lots more we have also decided to make this event even bigger and extra special. I have decided to link in this event with two special charities that mean a lot to me. 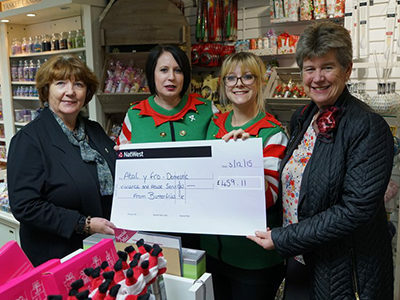 Atal Y Fro – Support through domestic violence have been amazing help for myself and also Vale Plus Cafe No.5 who give opportunities for people with special needs who make amazing food and the best ever hot chocolate which I have to have every morning. During our event we will be raising awareness for both these amazing charities and hopefully raise money through our extra amazing raffle and donations. We also have an extra special surprise we will be opening on the day of our event. 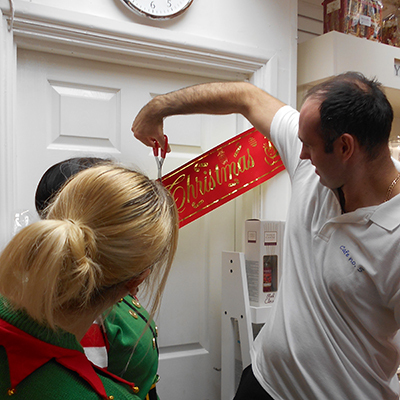 It will blow you away as an extra extension to our fabulous store. We will also be giving away special keys to this amazing extension for the first customers of the day to open and view first. We as a great team have put a lot of thought and effort in to this event and really hope that you will enjoy this special day. We will be working with Cafe No.5 where you can also pick up your goodie bags and enter our raffle, also get a free cake with every drink purchased. Any questions please contact us for some more information. 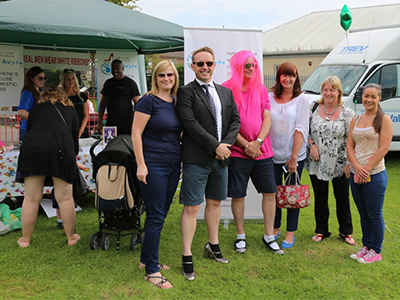 On Saturday 22nd August 2015 Atal y Fro and supporters took to Gladstone Park, Barry and completed the ‘Walk a Mile in Her Shoes’ charity walk to raise awareness of Domestic Violence against Women and Girls. 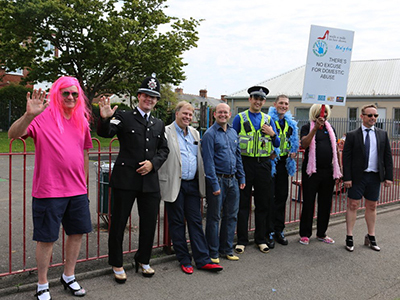 Leading the walk was Deputy Local Policing Inspector Bryn Glennie from South Wales Police along with Atal y Fro staff members, PCSO’s, Vale of Glamorgan Councillor Members, Barclays Bank Representatives and South Wales Fire and Rescue Service. The participants started at Gladstone Park and made their way (in high heeled shoes!) to Tynewydd Road, through Holton Road and back to Gladstone Park. Well done to all those who participated in this event and for all the supporters who helped us to raise money for this great cause! There’s an old saying “You can’t really understand another person’s experience until you’ve walked a mile in their shoes”. The Walk a Mile Event is a playful opportunity for men to raise awareness in their community about helping end violence against women and girls, one man-sized step at a time! The event is taking place at the Tenants Family Funday at Gladstone Park, Barry on Saturday 22nd August 2015. 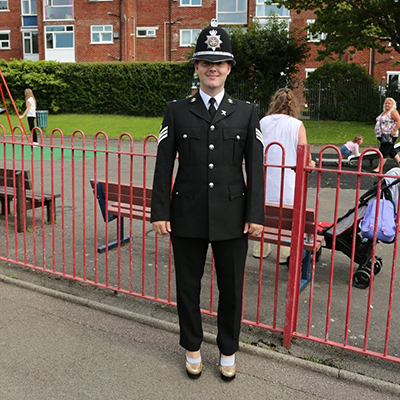 We are looking for recruits and we’re asking if any males would put on a pair of high heels (or jazzed up flip flops/ pink slippers!) 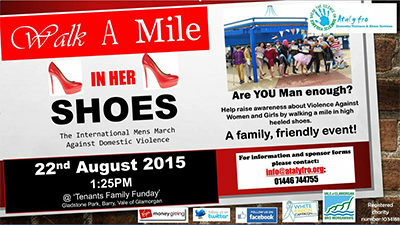 and join the White Ribbon Campaign to Walk A Mile in Her Shoes. Please complete the registration form and return to sabine@atalyfro.org; or via post to Atal y Fro, 222 Holton Road, Barry, CF63 4HS. 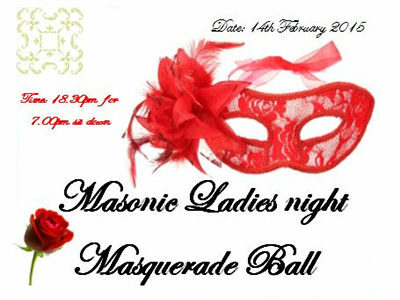 Come along to our Ladies Night Masquerade Ball! How do you fancy raising money for Atal y Fro? 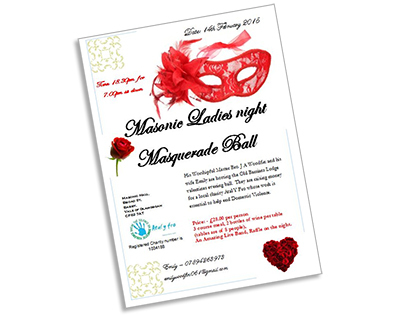 Well ladies… get your dancing shoes ready and come along to our Masonic Ladies Night Masquerade Ball at Masonic Hall, Barry on February 14th 2015! Just £28 will include a 3 course meal, wine, live band and there will also be a raffle on the night! All monies raised will help us support women and children within the Vale of Glamorgan who experienced, or are currently experiencing Domestic Violence or Abuse. Tonight Wales This Week looks at a controversial pilot project run by a Welsh charity working with perpetrators of domestic abuse. 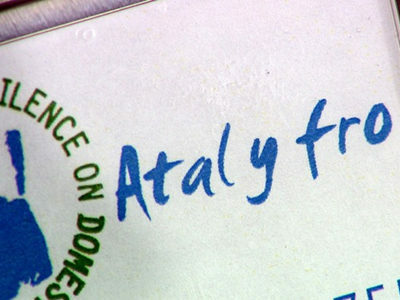 Traditionally charities have been working with victims but Atal Y Fro, based in Barry, has adopted a unique model from New Zealand and works with perpetrators as well. A national campaign demanding the Welsh Government strengthen a bill designed to tackle violence against women has been launched.